It’s now the season–this is a favorite brunch dish or appetizer in the spring when asparagus are at their peak. Last night I made asparagus with our dinner and I made an extra-large amount so I could make this dish for brunch. I took the time to peel the asparagus because I didn’t want to throw away any of their fresh just-picked goodness. 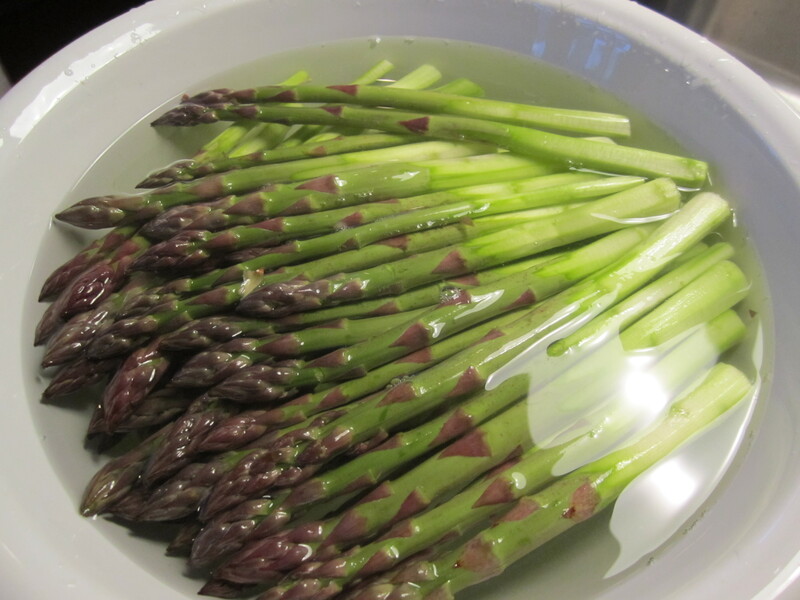 When the asparagus are local (and picked that day), it’s necessary to soak them in a deep bowl of water to let the soil settle to the bottom. First I peel their lower stalks, then soak them. Then boil them for about 2 to 8 minutes, depending on their thickness–I stand over the pot and pull out the skinnier ones sooner and let the thicker ones cook longer. Any that I’m not going to eat right away, I shock in cold water to keep them green. To make this dish, simply take cooked asparagus and saute in a tablespoon or so of extra-virgin olive oil for 2 minutes or so, until they’re heated through and maybe slightly golden in spots. Fry eggs to your preferred degree of doneness (it’s traditional to fry the eggs in butter, but I prefer olive oil). 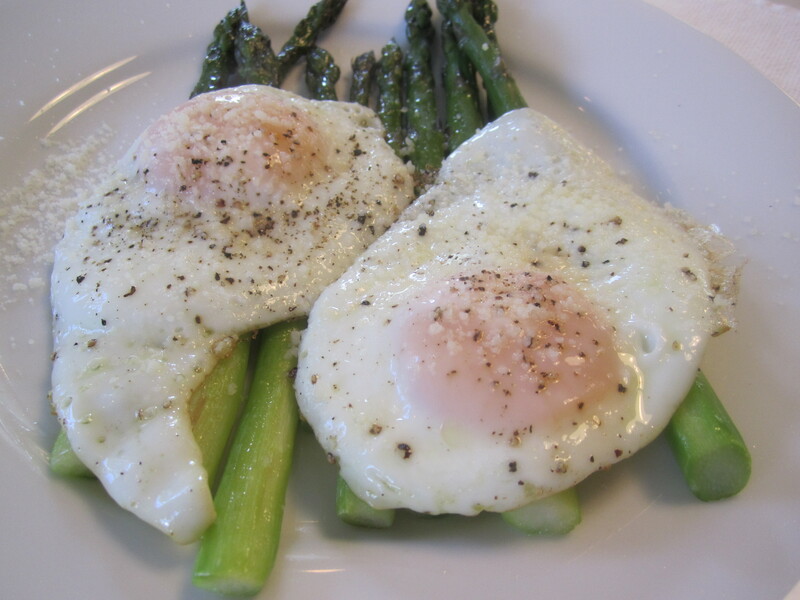 Top the asparagus with fried eggs and lots of parmiggiano and black pepper. Eat immediately with bread or bruschetta. This is also a great late-night dinner on its own. This entry was posted in Eggs, Vegetables. Bookmark the permalink.